There are many cool services and resources offered here at the UGL. You have the writer’s workshop, the research desk (which operates Monday-Thursday from 1-5) and the cool DVD’s and books located on the lower level of the UGL. 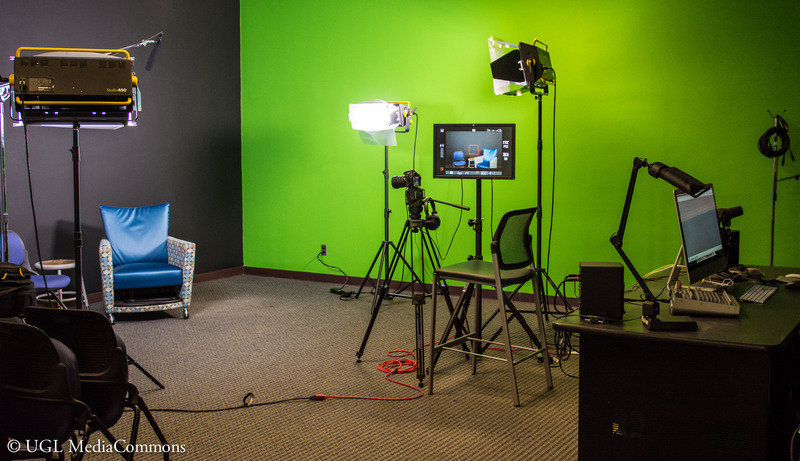 As you can tell, you have a lot of options, but did you also that the UGL has a video studio room? 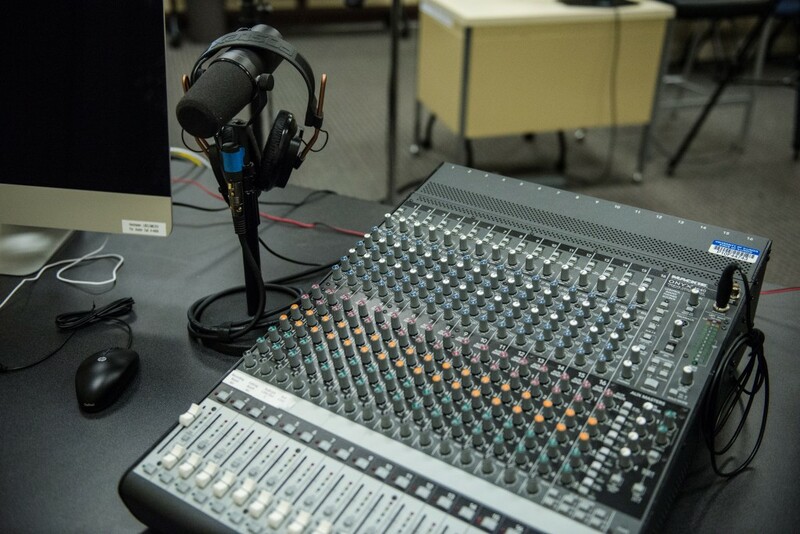 (a.k.a “green screen room”) The room is part of the UGL’s media commons and offers students, staff, and faculty the opportunity to use professional equipment in a video production studio. Six Lowell Fluorescent Lights, 2 Nikon DSLR cameras (D7100 and D600) with several lenses, Wireless Lavalier Microphones, a green screen, iMac, other equipment, and coming soon, a Global Truss Lighting Grid. How does one get to use this room? The room is only available by appointment, so the student, staff, or faculty must fill out a reservation form. This form can be found at the Media Commons’ website, here. Once you make a reservation, you will come into the UGL and go to the circulation desk and let them know you have a reservation. There is a limit of 4 people, but the new coming lighting grid will allow for 8-10 people total. A staff member from the Media Commons will explain the basics on how to use the camera and lights. If you need more assistance on editing, you can make an appointment with the Media Commons staff member. The only thing that students are asked to bring is an external hard drive and a their own SD cards. Not bad, right? Everything else is provided for you. Be sure to be on the lookout for more blogs featuring the great resources that the UGL has to offer. What projects could you do using the Video Production room? Comment below! This entry was posted in Resources, Uncategorized and tagged media commons, resources, services, spotlight on by QLB. Bookmark the permalink.